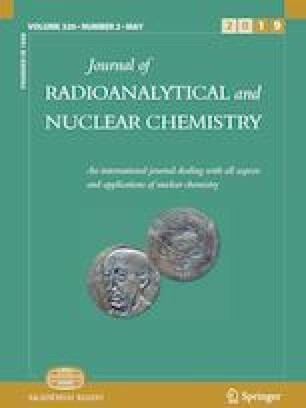 A combination of the density and Raman measurements for rapid in situ determination of uranium concentration and free acid molarity in uranyl nitrate solutions is proposed. Laboratory validation and field tests performed using a portable handheld density meter and a handheld Raman spectrometer demonstrated a feasibility of the approach in the range of uranium concentration from 50 to 426 g L−1, and free acid molarity ≤ 3 M. The combined standard uncertainties of the uranium and free acidity determination were found to be 2.4% and 5.7%, respectively. Potentials of the method in safeguards and process control applications are highlighted. The author would like to gratefully acknowledge Mr Andreas Schachinger and Ms Rosanna Jungreithmair from the Nuclear Material Laboratory of the IAEA’s Safeguards Analytical Services in Seibersdorf for the assistance in preparation and characterization of reference solutions used in this study.